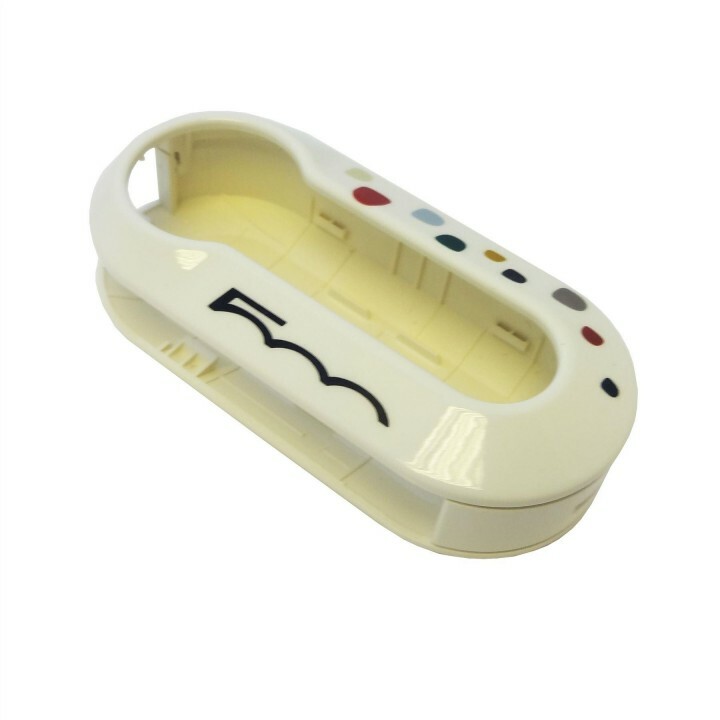 Genuine Fiat 500 | 500C | 500L - Trekking | 500L - Estate Key Cover White With Coloured Dots And 500 Logo. Fiat 500L Key Cover - White & Polka Dot. Accessorise your Fiat Key with this Trendy Polka Dot 500L Key Cover. This Polka Dot 500L Key Cover is perfect if your Original black Fiat Key Cover is starting to get scruffy, dented and scratched. Not only does it freshen up your key it also provides a unique, funky appearance. 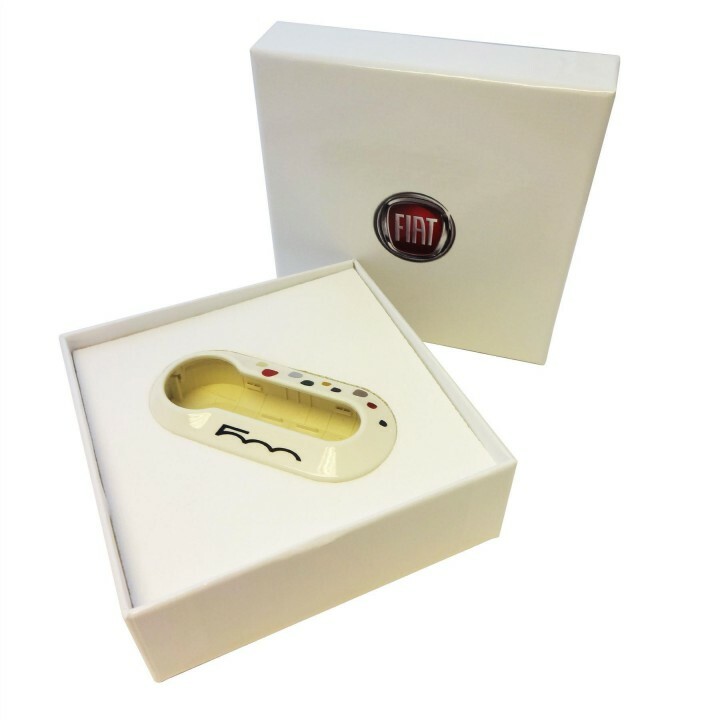 The cover its self is White and features a Polka Dot Design and the Fiat 500 Logo. This Key Cover replaces the original cover on your key. This has to be removed before the new Key Cover can be fitted. 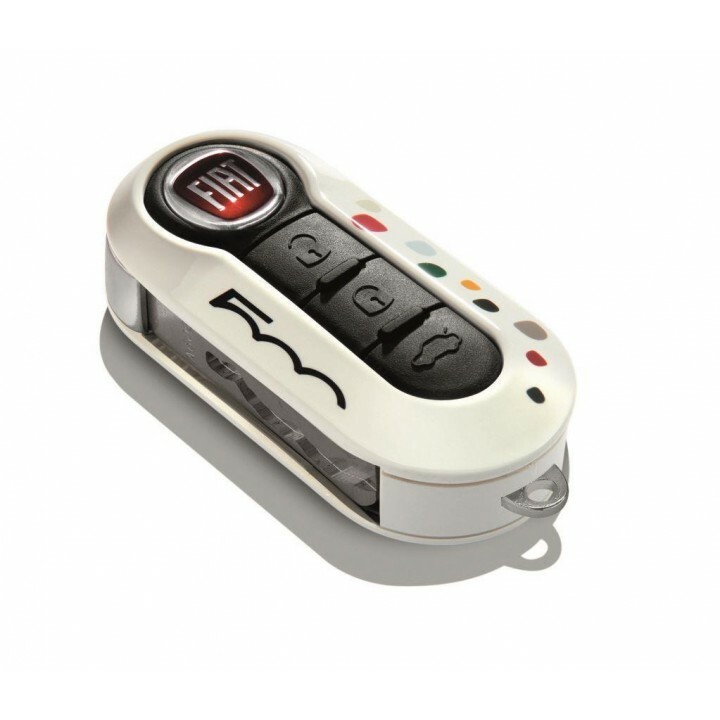 Suitable for Fiat 500L with the new style key.